LOL - What a dumbs**t! My bad! the times however are possible considering that the 305 came with an M5 and the 350 came with an auto trans. and depending on the option codes, G92 and L98 cars got a 7.75" 4 pinion rear end which might have had a little to play in there as well. Without spending the time to research, I'm going to risk looking like a bigger moron by asking: didn't all IROC converts' come with the 305, or were those not IROCs?... I remember reading that GM didn't put 350s in the ragtops because the torque was too much for the chassis. I'm not 3rd Gen. guy though. That's the one generation I never gave much attention, for whatever reason. well, the ragtops were made from t-top cars that already had extra bracing added to them. the convertable option was available for the Sport Coupe, Sport Coupe LT, Z28, and IROC-Z versions. but you are right that they were not offered with a 350. Why Z/28 higher model than SS? Why would a Z/28 Camaro out perform a SS model? I mean the excitement of announcing the Z is great but seriously... I think that traditional the SS is the Top of the line. 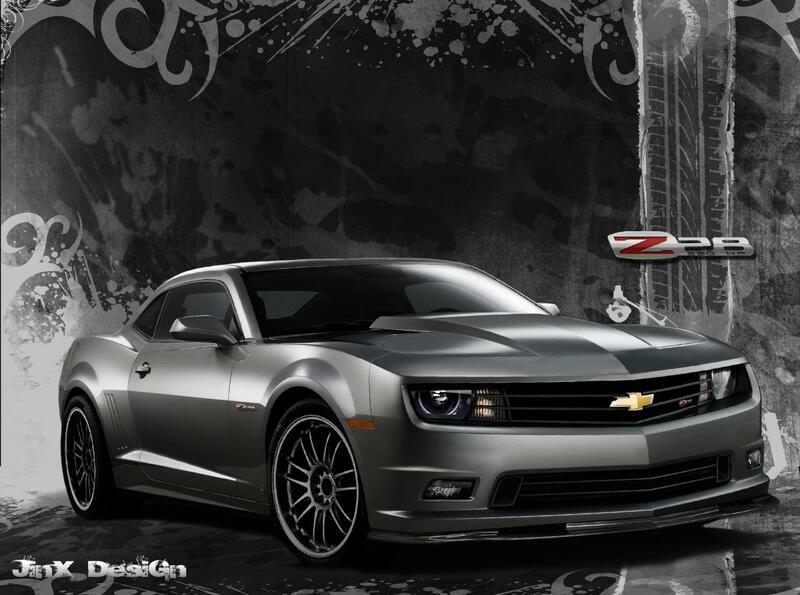 Supercharge the V6 and give it 340-360HP and call it a Z/28 with great Gas mileage. Just a thought. The obvious reason a Z28 would outperform the current SS model - the Z28 as envisioned would come from the factory with a supercharger. I guess I am thinking in current line up... but is this presuming that the SS release at the time would be somewhere in the 600HP range? Not dreaming, just find it absurd that a RPO traditionaly below the Super Sport will outperform it. Interesting indeed... guess I am alone in this train of thought. There's about 1000 different opinions on this. The Z/28 was always a more "limited" model than the SS in years that they were both produced. Would you rather have a 1st gen SS or Z/28? I have a feeling when it does come back it'll be a limited model and have the pricetag that only limited people will be able to afford. If you want a 600hp SS, you'll have to go aftermarket. I always thought the ss (super sport) was a base camaro with Z28 performance parts and the Z28 was the top of the line. That was true for the First Gen, and it's true for the Fifth Gen. Z28 played second fiddle to the SS in the Fourth gen, and it played second fiddle to the IROC in the Third. Not sure about Second gen, maybe somebody can chime in? this debate can go on and on...and I'm sure there's already 128698235 threads on it.